Most people do not realize that Cornelius is one of the oldest family names in existence. There are two main reasons for this: (1) most people haven't thought about it, and (2) most people could care less. But it's true anyway. If you happen to have a Bible handy, I recommend Chapter 10 of the Book of Acts, where you can find the story of the original Cornelius. It's a rollicking good read, the gist of which is that a guy named Cornelius had a lot of dreams and ate a lot of food, and eventually became the first Gentile to be baptized as a Christian. I gather it created something of a stir back in those days. Since then the family fortunes have gone more or less downhill (the Bible says that Cornelius was very wealthy and had a lot of servants). During the Roman Empire there was a Pope Cornelius, of whom little is known. He was deposed and martyred after less than a year on the job, but he has his own web page, which is more than can be said for most of the living members of the family. To answer an often-asked question: the plural form of "Cornelius" is "Cornelii". Perhaps you have heard of the German composer Peter Cornelius (1824-1874, pictured at right), whose most notable work is the comic opera The Barber of Bagdad (1858). Donald J. Grout in A History of Western Music calls The Barber a "witty and original work." 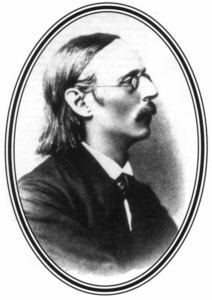 Another source adds that Peter Cornelius was a prominent critic, a close friend and disciple of Franz Liszt, and "was an ardent defender of the music of his time, notably that of Berlioz and Wagner, even if he feared being crushed by the latter's personality." He avoided that particular occupational hazard, which was later to claim his countryman Engelbert Humperdinck, and turned out a body of music the "great part of which has fallen into oblivion." Some of it survives on CD, however, including the aforementioned Barber, a song cycle Trauer und Trost (Mourning and Consolation), Op. 3, a setting of the Stabat Mater, and an especially beautiful but brief Requiem ("Totenmesse") for a capella chorus. A friend recently reminded me that one of the main characters in Planet of the Apes was an ape scientist named Dr. Cornelius. Considering the enduring popularity of this movie and the book on which it was based, it's probably accurate to say that the good Dr. Cornelius is the most famous person in the history of the family. I think I can speak for Cornelii everywhere when I say that we're all extremely proud of him, even though he's a fictional character and, unfortunately, a member of another species. Some years ago my Grandmother sent me a beautiful print of our family coat of arms (suitable for framing). I cannot vouch for its authenticity, but if you can't trust your own Grandmother on issues of heraldry, whom can you trust on anything? "The Crest consists of a hand extended from a cloud of smoke, grasping a battle ax or Greek cross, and resting on a strand of rope. This signifies martyrdom. "The Coat of Arms consists of a shield on which is delineated the square [?] and three balls, surrounded by a scroll of leaves and surmounted by a Crusader's helmet with closed visor; this all rests on a scroll foundation containing the motto Verite sans peur ("truth without fear"). The square refers to artisans and the balls signify the practice of medicine. The shield and helmet refer to military service and also indicate the time of the Crusaders. The banner with the name CORNELIUS is draped over a Crusader's sword. The shield also has the ermine indated [sic], which denotes royalty."